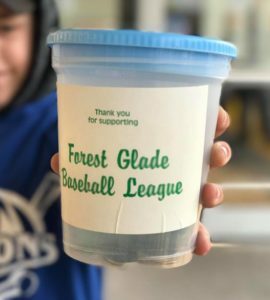 The Forest Glade Baseball League would like to give a very special thanks to the following programs for their continued support in ensuring our organization continues to provide services to families with financial assistance. Research and communication initiatives which raise awareness of the issues related to poverty and the need for everyone to share in the solutions. Raising funds. Lifting spirits. Supporting dreams. Jumpstart is more than just about getting kids active. It’s about giving kids from families in financial need the same chance to participate as their neighbours, their classmates and their friends. Whether it’s the chance to try a new sport or to continue with a favourite one, no kid should be left out. The vision of Jumpstart is simple: Canada, where all kids have a chance to fulfill their dreams.